Whither the Tibetan Mastiff now that China has joined FCI? 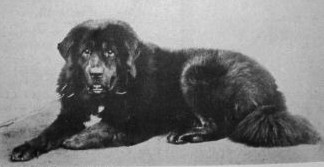 Articulating what many inside the breed have been saying with increasing volume, the document (see below) outlines a plan to split the Tibetan Mastiff into two breeds: a true long-haired mastiff called the Zang Ao (literally, “Tibet Dog”) and the more moderate Do Khyi, which is what the Tibetan Mastiff is currently called in FCI. The impetus behind the memorandum was the unanimous vote at the meeting to grant associate FCI membership to the Chinese Kennel Union. As interest in purebred dogs grows in China – and along with it the prospect of registry-driven revenue – both the FCI and the American Kennel Club have been wooing Chinese kennel clubs. FCI aligned with the Chinese Kennel Union in 2006, giving it “contract partner” status; the American Kennel Club signed up the Noted General Kennel Club (NGKC) as the first client of its new Global Services program. But in recent years it is the Tibetan Mastiff that has evolved into a canine symbol of Chinese pride and prosperity, and it is likely that its FCI standard will be the first to draw the Chinese Kennel Union’s attention. 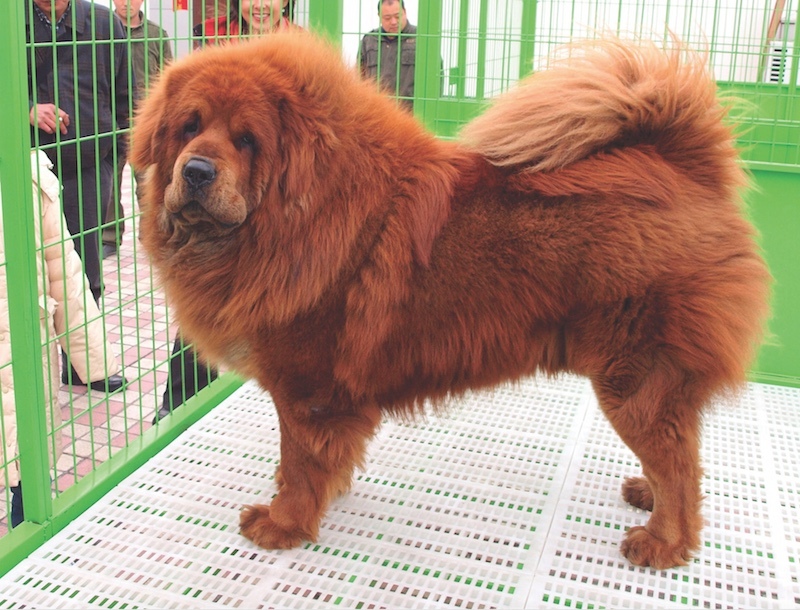 The Tibetan Mastiff is being bred in China to fully embrace its Molosser roots, as this modern dog illustrates. Bhotean (above), exhibited at London’s Crystal Palace in 1906, and Tonya (right), whelped in 1933, are examples of the “prototypical” Do Khyi that underlies the current FCI standard. What will happen next is anyone’s guess. Will the Chinese propensity for big, dramatic dogs with a lot of skin, haw and wrinkle run afoul of the FCI’s ever-growing concern with health and avoidance of hypertype? Will this Chinese vision elbow out the Do Khyi, forever losing this more pastoral, restrained phenotype? How will all this play in Peoria (and elsewhere on this side of the Atlantic), where proposed changes by the AKC Tibetan Mastiff parent club have sought to move the breed even further away from its mastiff roots? Your guess is as good as ours. But one thing is for sure: Whatever the outcome is, it will take breeders years to adjust breeding programs accordingly. The current status of both the Zang Ao (mastiff breed) and the Do Khyi (working breed) ask for a joint in-depth assessment by the FCI and the China Kennel Union (CKU). • to identify workable criteria for judges, breeders and breed clubs all over the world to separate breeding stock in an interim period. Whenever appropriate, breed specialists from the KC as well as from the AKC should be invited to report on the situation in their respective countries. The FCI Working Group on the Zang Ao and the Do Khyi should present its report and recommendations to the FCI Standard Commission which should then evaluate the report for in-depth consultation with breed clubs within FCI - to be followed by final decision-making in the FCI General Committee. What the Xiong Mao (Panda Bear) has become to the world’s wildlife, the Zang Ao will become to the world of dogs – the most prominent national treasure of the PR of China. The Zang Ao is an unique, big, strong and most impressive long-coated mastiff breed. Developed from different sources (a few linked to the Do Khyi, most linked to different molosside backgrounds), the Chinese breeders of the Zang Ao, who have taken their passion seriously, have gained enormous success over the last 30 years in streamlining the genetic make-up and the phenotypical conformation of their national guard dog. Today, the Zang Ao must be identified as a true member of the global family of mastiff breeds, showing their key features in type, size, bone and balance. The Zang Ao is the only long-coated mastiff breed in the world. It’s time the PR of China under the leadership of the CKU is proposing a breed standard for the Zang Ao to be considered for recognition by the FCI within the defined processes and procedures. The Do Khyi got its very first breed standard from the FCI in 1967, initiated by Dr. Hubert Wirtz, German FCI All Breed Judge. The current FCI breed standard for the Do Khyi strictly follows the blueprint of the early imports which have been taken to England and later to the Continent. 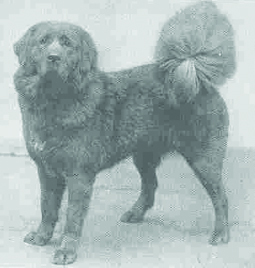 Among the most prototypical specimens were dogs like Bout (given to Queen Victoria in 1847), Siring (shown at Alexandra Palace in 1875), Bhotean (exhibited at Crystal Palace 1906) and Tonya, born in 1933. The pure-bred Do Khyis of today have preserved these ancient models of the breed to our modern times. The Do Khyi, through the centuries, has played a respected and thoroughly documented role in the culture of its home region. On a particular request of the FCI Standard Commission, the 2004 Do Khyi breed standard (developed by a multi-national working group chaired by the author) lists in its section “faults” all features introduced by uncontrolled mixed-breeding outside the FCI, which in recent years has caused considerable damage to the genetic profile, authentic type, health, fitness, coat, colour, size and temperament of the breed within the FCI.